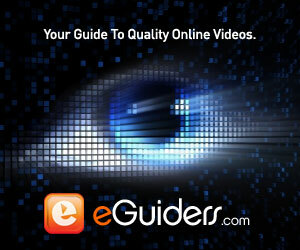 TV Show Web Extensions - eGuiders. We Search. You Watch. Welcome to TV’s next dimension: the online “story extension.” Characters, subplots, scenes and clues are jumping off the tube and into the internet ether, taking us deeper into the story…and giving us more ways to procrastinate at work. Today, nearly every show has some official presence on the web, offering episode recaps, character profiles, blogs and behind-the-scenes snapshots. But more and more, TV web extensions are taking us further into each show’s world, creating mini spin-offs from the main plot, introducing new layers to the mysteries, or offering insights into the real lives of the people depicted in the scripts. It’s no longer enough to simply lie on the couch to take it all in; viewers are now summoned to play their part, searching the internet for clues, offering up their own stories or renditions, debating with fellow viewers. eGuiders is plumbing the depths of both TV and the internet to bring you this one-of-a-kind breakout of the multiplatform network universe. While not every show has stepped into the third dimension, we’ve seen the future, and it lies in the transmitted storyline, one that occurs across mediums, moving us to ever-smaller screens to piece together the bigger picture. Life doesn’t take place on one plane, after all, so why should TV? Rescue ME After a fancy flash animation, the offocial site doesn't seem to be working as far as showing any Exclusive Videos. Deal or No Deal "Nick the Page" is a 26 segment webisode series that follows the exploits and interviews of the handsome page Nick. Nick's job is to take care of the Deal or No Deal showgirls and, not surprisingly, the webisodes mostly deal with his access to the girls and asking them questions like "are they real or fake?" Biggest Loser "Bonus Scenes" shows more scenes that never made it into the show.